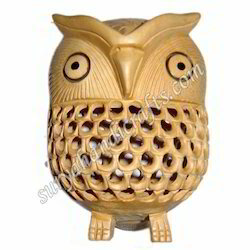 We are a leading Supplier & Manufacturer of Wooden Owl such as Wooden Kadam Wood Jali Owl, Wooden Jali Owl With Stand, Wooden Owl With Plane, Wooden Owl With Carving, Wooden Jali Owl With Kadam Wood and Wooden Jali Owl from India. 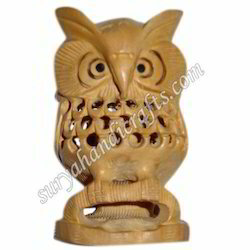 Our organization is well known for manufacturing the qualitative handicrafts products.Wooden Kadam Wood Jali Owl is one of our best products. 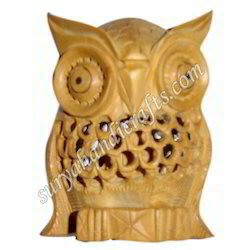 We are blessed with the experienced artisans who design various astonishing patterns. 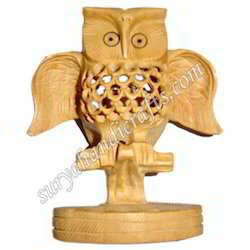 It is made using the wood to provide an effective shape of an owl. 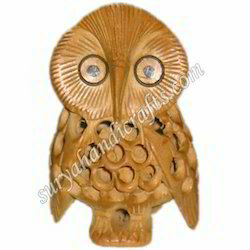 This is available in several sizes as per client requirements and specifications. The client can avail in the market at affordable prices.